Calvin Liang was born in Canton, China. He began painting in high school and completed his art education at the Shanghai Academy of Fine Arts, recognized as one of China’s most prestigious and competitive art academies. In China, his skills as a fine artist were applied to the theatrical industry where he designed and created sets for operas and musical dramas for the Canton Opera Institute. Liang moved to the United States in 1987 and continued his profession as a full-time artist. He had a long and successful career creating visual art for the entertainment industry in animation, which included the Walt Disney Studios and Nickelodeon Studio where he worked for the Little Mermaid and Spongebob Squarepants. However he decided to quit working for the studios to pursue a fulltime career as a fine artist, painting themes of his choosing. Since leaving his animation career in early 2002, Liang has definitely been noticed. 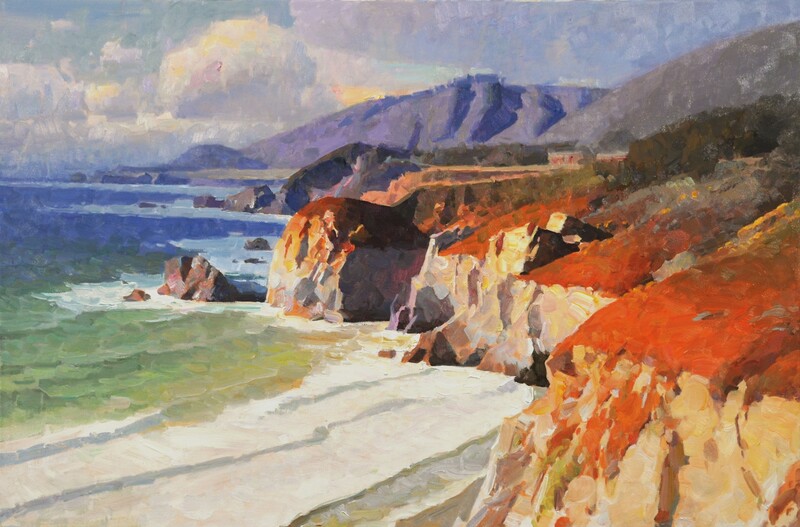 His accomplishments include winning several top awards in important exhibitions including Lifetime Achievement Award at the 18th Annual Laguna Beach Plein Air Painting Invitational in 2016, The Bronze Medal in the 25th National Juried Exhibition of Oil Painters of America in 2016, Edgar Payne Award for Best Landscape in California Art Club 104th Annual Gold Medal Juried Exhibition 2015, Artist Award in Masters of the American West Fine Art Exhibition and Sale 2015, Juror’s Best of Show-38th Annual C.M. 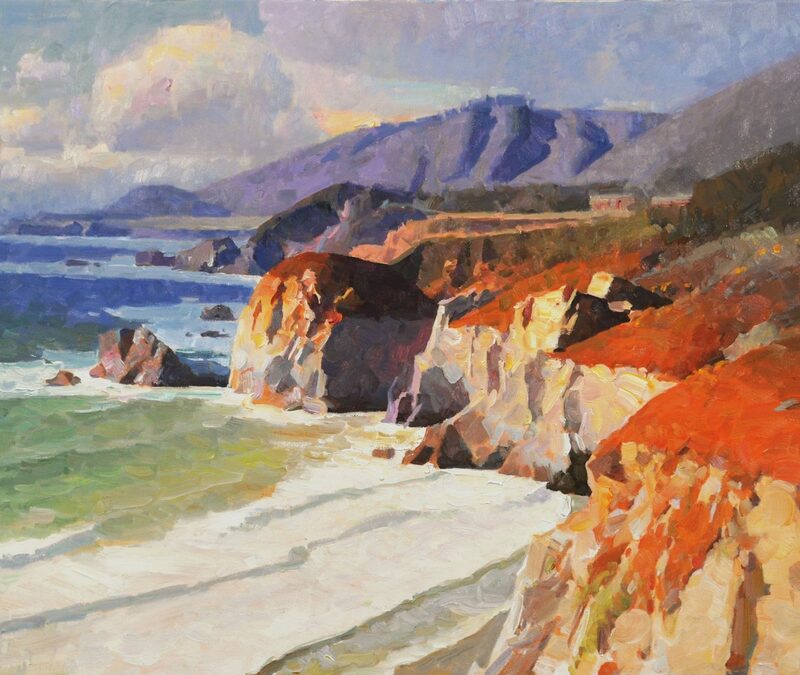 Russell 2006, “Art-Talk Award of Excellence” Oil Painters of America Juried Exhibition 2005, “People’s Choice Award” 6th Annual Laguna Plein Air Painting Event in Bowers Museum 2002, “Best of the Show” American Impressionist Society’s 4th Annual Juried Exhibition 2002. Thus assuring his position as one of the nation’s leading artist. National art magazines also took notice. 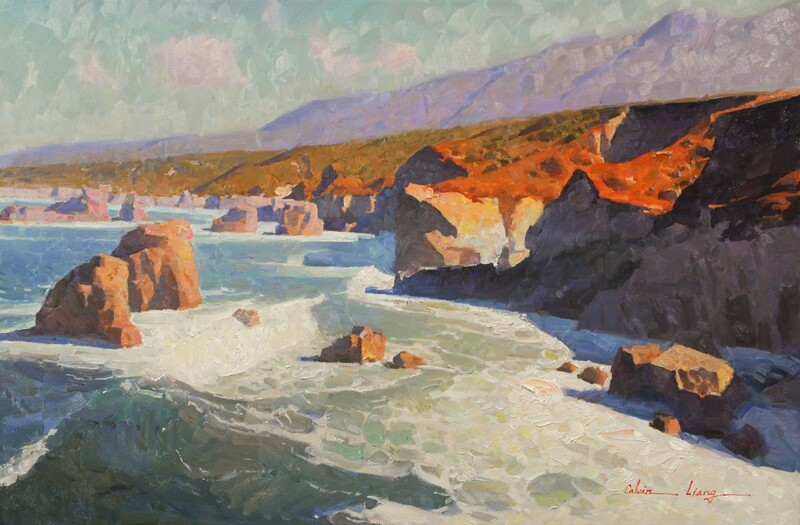 In 2004, Liang’s work graced the cover of Art of the West’s special 16th Anniversary Edition; and in 2006, 2007, and 2008 three years he had a full feature article in American Art Collector Magazine. Also he received a full feature article in Southwest Magazine in 2005, American Artist Magazine in 2005, American Artist Workshop Magazine in 2007, and American Artist Magazine in 2010. Again, he had a full feature article in Art of the West Magazine in 2012 and 2014. 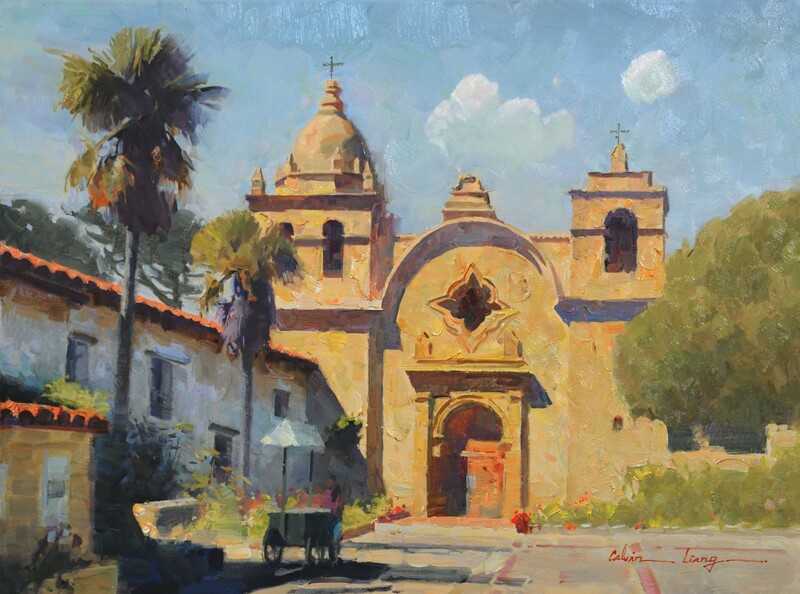 In 2012, 2013, 2014, and 2015 he was selected into the Masters of the American West Fine Art Exhibition and Sale, which was at the Autry National Center in Los Angeles. 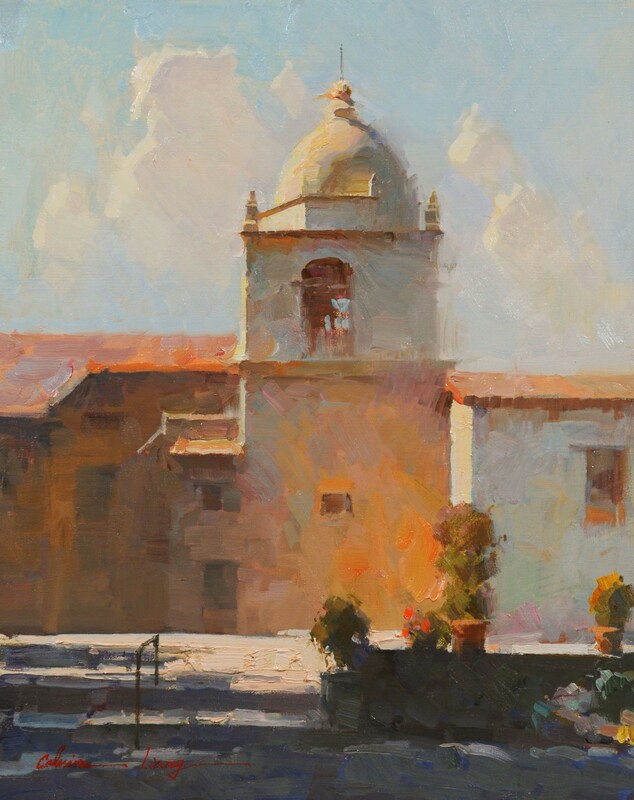 Calvin Liang is a Master Member of Oil Painters of America and American Impressionist Society, and a Signature Member of California Art Club and Laguna Plein Air Painters Association.